Wiring harness and instructions included! This is a complete, ready-to-install Kit! 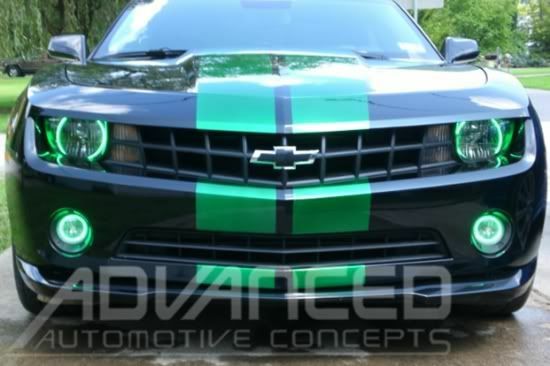 Here is a great simplified package to add fog lights to your LS Camaro! The best part is that you can install it yourself with our handy instructions. 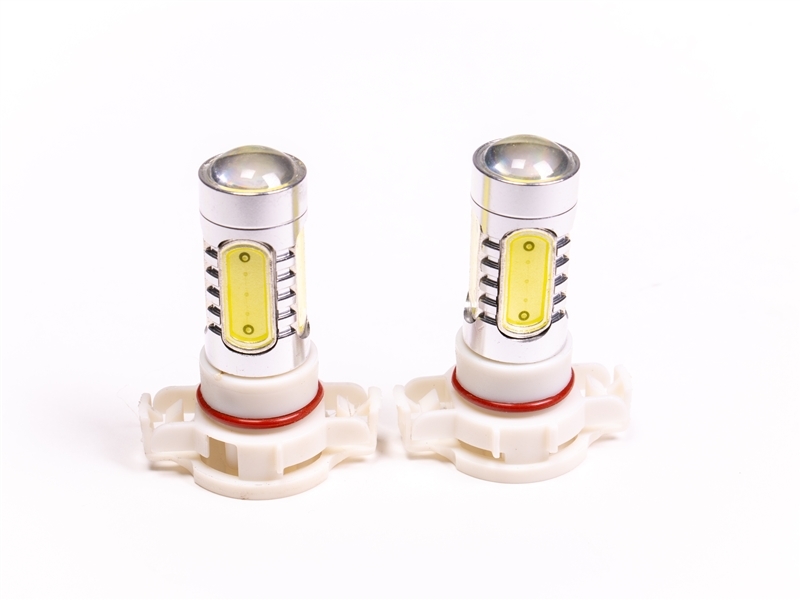 Choose from factory style halogen bulbs or our ultra white Plasma LED bulbs. It comes with both. 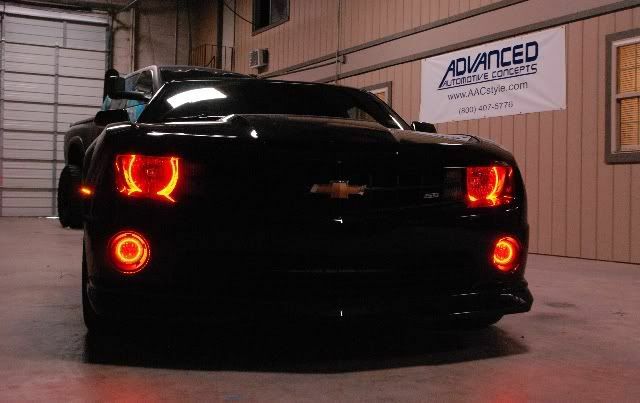 1) (PAIR) Camaro Fog Light Housings - OEM style replacements. 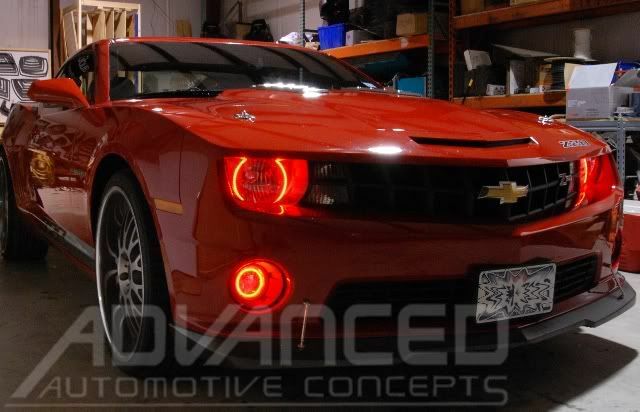 2) (PAIR) Camaro Fog Light Bezels - OEM style replacements. 3) (PAIR) 5202 Plasma LED Bulbs and stock Halogen Bulbs. 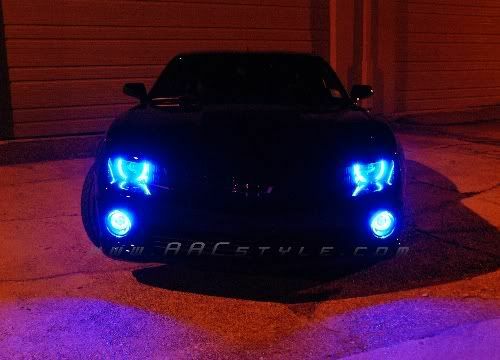 Note: These fog lights will stay activated with high beam lights. Wiring and connectors included, no need to add a switch or run wiring through your firewall! 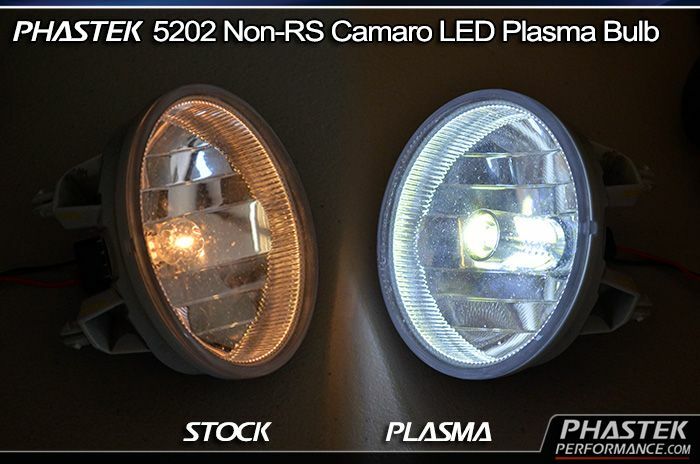 Comparison: 5202 Plasma Bulbs shown on the right, stock bulbs shown on the left. 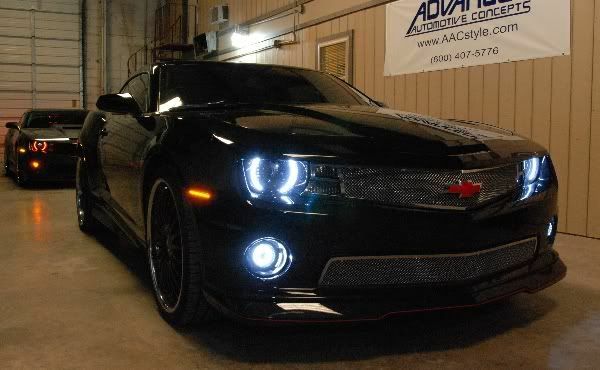 Add matching halos to your Camaro Fog Lights or Stand Out from the crowd with colored Fog Light Halos! Installation does involve some cutting but is relatively quick and can be accomplished in under 2 hours. 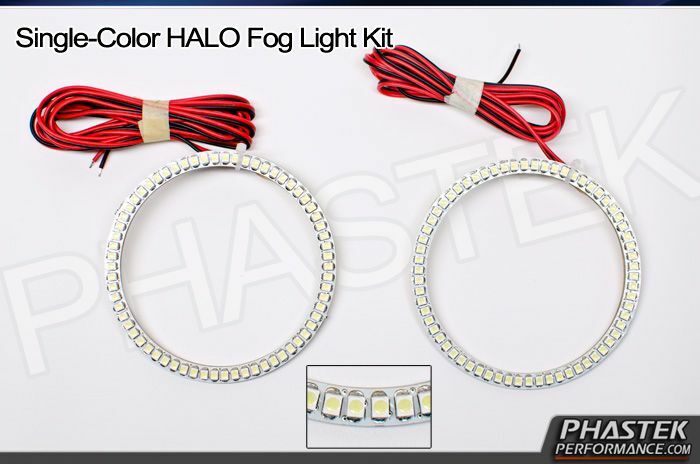 Kit includes 2 High-Powered SMD (LED) Halo Rings in your choice of colors! This kit is covered by a 1 year warranty. Parts fit well, but the instructions could be clearer on the initial install of the inserts that the lights themselves fit into. Its not super complex, but it takes a minute of looking at to figure out without instructions. Wiring instruction a and bulb placement are all great though, and the lights look amazing once installed. Perfect fit and simple installation! BE WARNED! 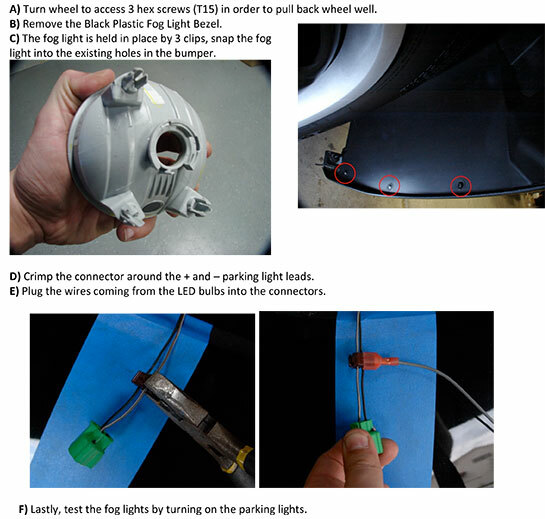 You may fail State Inspection if your state inspection guidelines show Fog Lamps must be DOT Certified on the lens and the lamps. Check your state inspection guidelines, that is if you have state inspections. Wish I would have known this before purchasing this. Everything came as described and on time. Also, I got the plasma bulbs, they look awesome at night, but don't really help you better improve visibility at night.